Flowers are one of the most expensive aspects of any wedding. 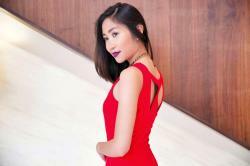 All those fresh blooms and blossoms can really accumulate and devastate the budget. Why not save money with some gorgeous paper wedding flowers. If you’re conjuring up images of kindergarten coffee filter and food coloring flowers, think again. Check out some of our favorite paper wedding flowers and use them for inspiration! 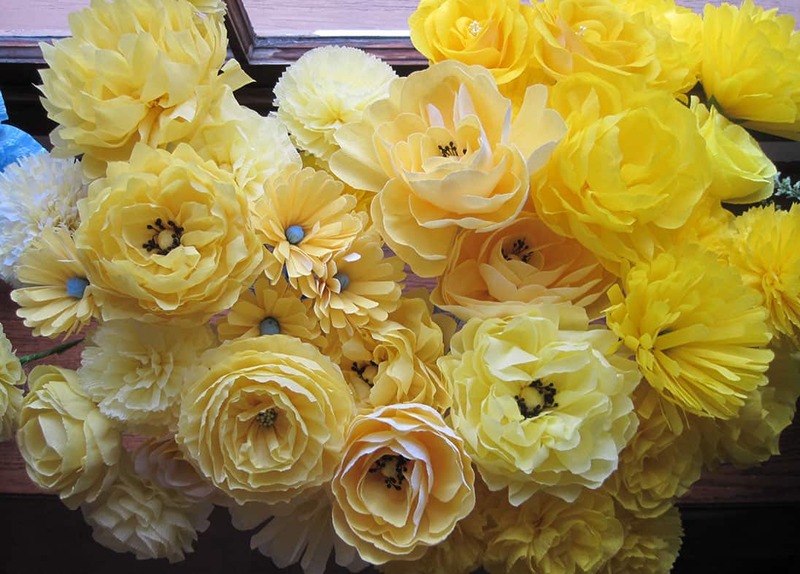 These stunning yellow flowers look just like the real thing, but they’re actually created from yellow crepe paper. 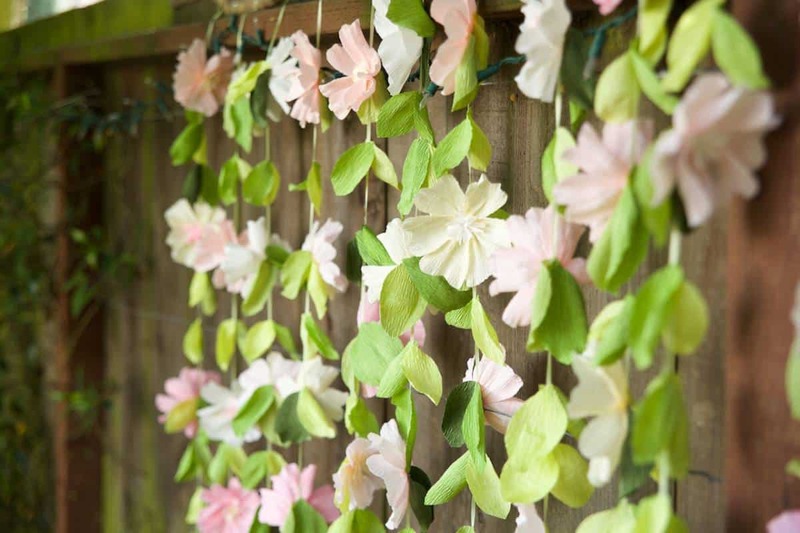 Found at Q is for Quilter, these beautiful flowers are elegant and perfect for a summer or even an autumn wedding. 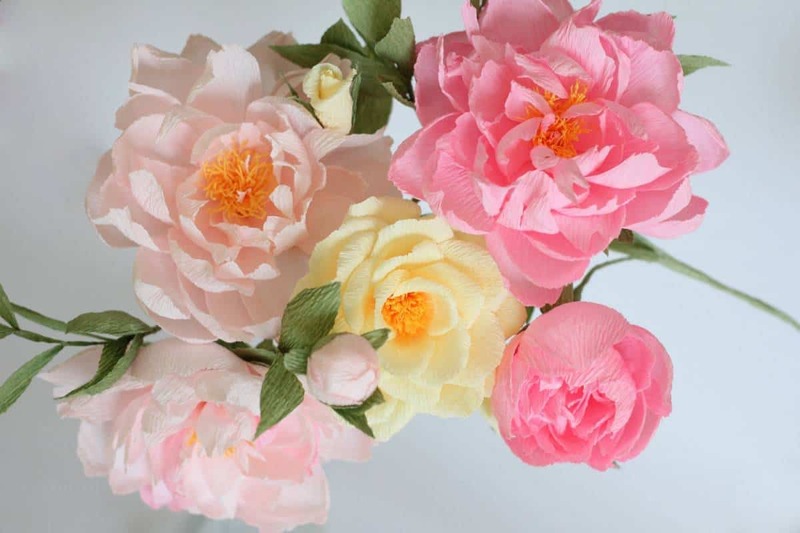 Also made from crepe paper, these pink peonies are simply breathtaking. They’re available for purchase through the Etsy store ‘Flower Decoration,’ but could also be a fun wedding DIY for a bride with a little crafting skill and a hot glue gun! 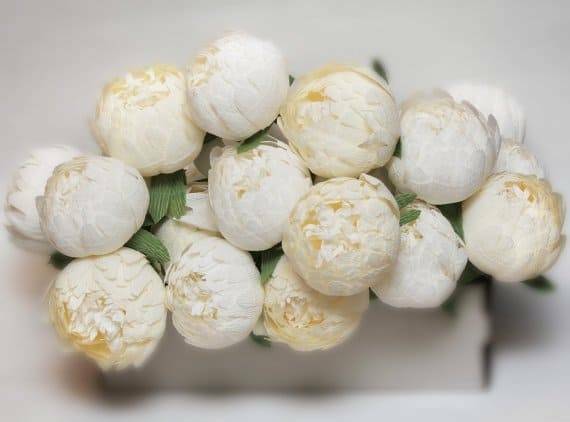 Also from Etsy Store ‘FlowerDecoration,’ are these lovely ivory peonies! Isn’t it simply amazing that these are paper and not the real thing? If you’re looking for a beautiful garland to hang as a backdrop for your wedding or perhaps to run down the centers of your tables, how about this wonderful piece of work found at LiaGriffith.com? It’s just super pretty and really does look like an authentic flower garland. 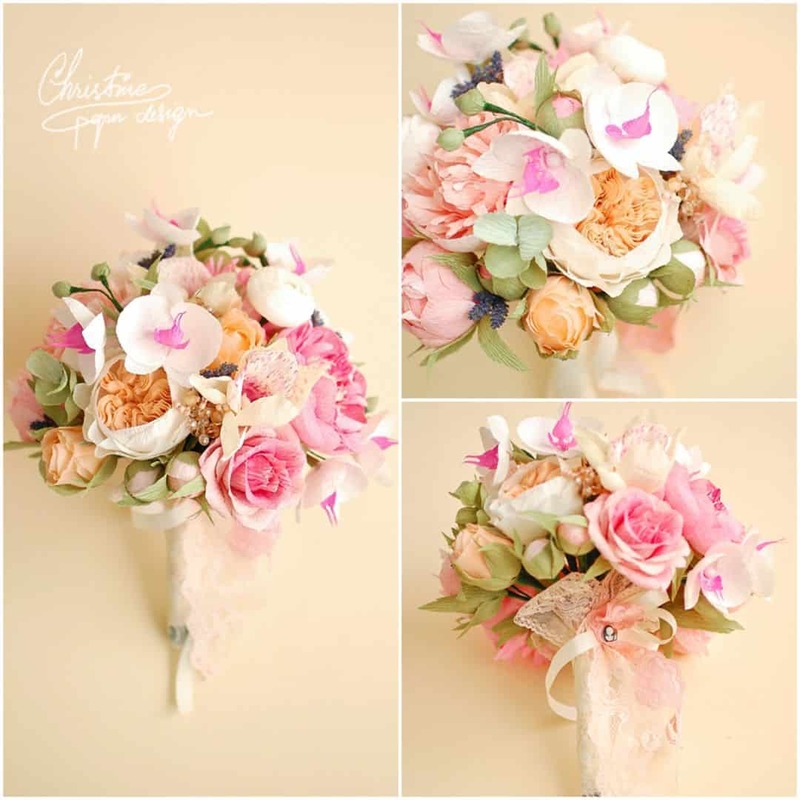 Check out this super adorable paper flower bouquet found at Christine Paper Design! It’s just beautiful and looks like authentic peonies, roses and orchids. This is one of our favorites. What do you think? Are these paper flowers beautiful enough for you to showcase at your wedding? Why not get the girls together, watch a few tutorials and create some super pretty paper flowers for your own wedding? We’d love to know your thoughts so feel free to share your comments below!